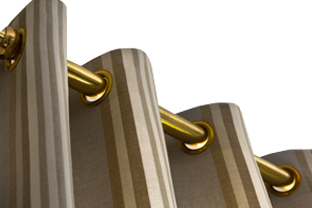 Pinch Pleat Drapes • Grommet Curtains • Ripplefold Drapery Ι choose your style – and design! Pinch Pleat Drapes – we have 9 drapery pleat styles that will give you plenty of drapery ideas and curtain ideas. Drapery pleats have a couple names for the same drapery styles, and appear below. Windows Dressed Up in Denver has a large variety of pleat styles on display. Come into our showroom to see which ones are right for you and select from over 3,000 fabrics. Talk to a Certified Interior Designer about your window covering project. Sheer curtains can also be made into sheer drapes with a pinch pleat. 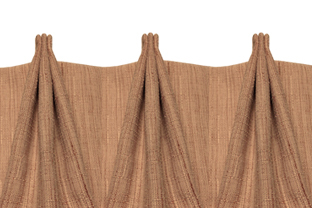 Ripplefold drapes have a unique style that shows an identical drapery pleat on the front side and backside. This will allow more of the window to be visible when open. The soft folds are simple in style, but there is still a large volume of fabric displayed. 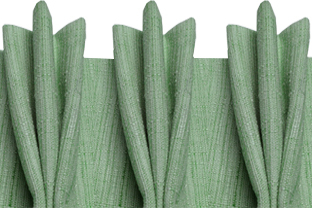 Known as wave fold pleat · S-fold pleat · roll pleat · ripplefold curtains. Watch Ripplefold Pleat Video Now! 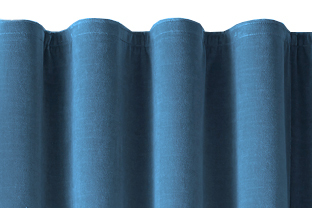 The french two finger pinch pleat drapes are spaced evenly to control the fullness of the drape. 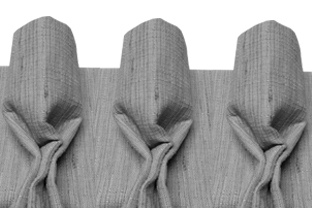 The stable woven stiffener allows the fabric to form unique gathered pleats. 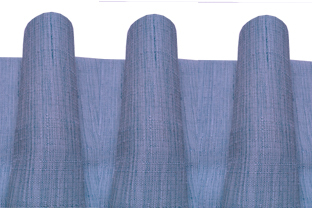 In this case, two pleats are sewn together at the bottom of the fabric stiffener. Watch French 2 Finger Pleat Video Now! 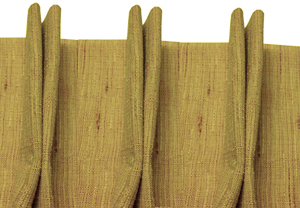 The top tack two finger pinch pleats are spaced evenly to control the fullness of the drape. The fixed woven stiffener allows the fabric to form gathered pleats. Similar to the 2 Finger French Pleat, but in this drapery style, two french pleats are sewn together at the top of the fabric stiffener. Watch Top Tack 2 Finger Pleat Video Now! French 3 Finger Pinch Pleat Drapes Ι classic pinch pleated drapes! The french three finger pleated draperies create a sleek header that controls the fullness. Like the 2 finger pinch pleat drapes except that the three french pinch pleats are visible and sewn together at the bottom of the woven stiffener. Watch French 3 Finger Pleat Video Now! Top Tack 3 Finger Pinch Pleat Drapes Ι classic euro pleat drapery too! 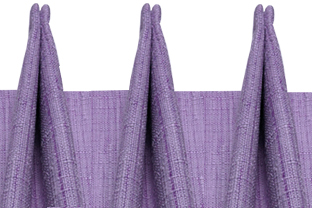 The top tack three finger pinch pleat drapes create a sleek header that controls the fullness. Like the 3 finger french pinch pleat drapes, except that the three pleats are sewn together at the top of the woven stiffener. Known as euro pleat · parisian pleat · pinch pleated curtains or drapes. The cartridge pleat is fixed in place with woven stiffeners to create a soft, rolling effect that maintain the pleat shape over time. Cartridge pleats have been used for ages, giving shape to many petticoats, ruffs and gowns. Sleek and streamlined effects give the drape pleat a sculpted look. Watch Cartridge Pleat Video Now! The flemish pleat has constant folds of fabric that keep the flow down the length of the drape. Pleat fingers are inverted and flow back instead of forward. Known as an inverted pleat · reverse pleat · tack roll pleat. Watch Flemish Pleat Video Now! The goblet pleat styles padded top edge makes the shape looks like a wine glass or tapered glass stemware. To obtain this very elegant and formal style, a cone of fabric is formed and stuffed with a fixed woven backing to keep the shape over time. Watch Goblet Pleat Video Now! Grommet drapes and grommet curtains are a great way of decorating a window or door with fixed or limited movement. 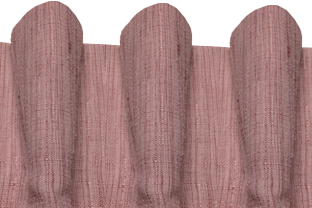 If used as drapes, the width of the drape will require more than one center support bracket, the panels will not traverse past the bracket. If a single center support bracket is used, install it where you want the panels to stop or meet. Watch Grommet Pleat Video Now!